Zitro has installed its Video Bingo machines in the emblematic Monegasque casino Café de Paris, operated by the prestigious Société des Bains de Mer (S.B.M), which also operates the legendary Casino de Monte-Carlo, as well as the other two gaming establishments of the Principality of Monaco. It is the first time that this type of game, of which Zitro is a world leader, comes to the Principality. Pascal Camia, Executive Vice-President of Gaming Operations, said: “Bingo video games are a distinct and innovative concept, and that is why we want to offer our customers this type of product, unknown until now in Monaco. 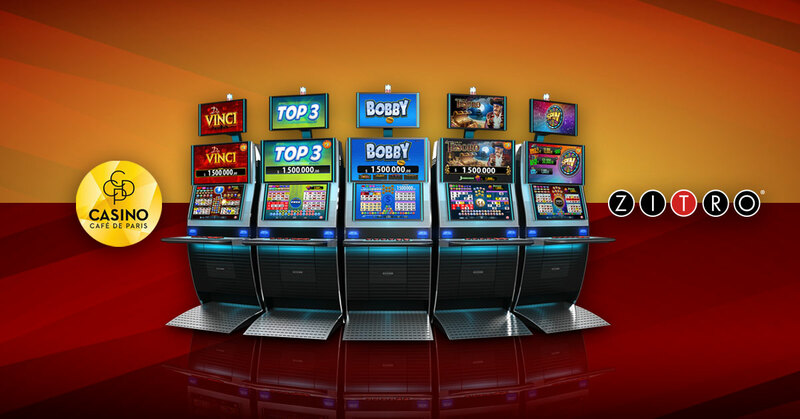 We thought it was best to introduce video bingo in our operation in the hands of the largest specialist in the market in this type of machines. We are convinced that, thanks to the Zitro video bingo, our customers will find new experiences, excitement and entertainment”. For her part, Nadège Teyssedre, Regional Director for EMEA, said: “At Zitro, we are enormously grateful to the Casino Café de Paris for its commitment to our product, totally unknown in this market. We are convinced that the expectations deposited in our video bingo will be exceeded, and we trust that this will help us in future to have a growing presence of our products in the casinos of Monte-Carlo S.B.M., a casino operator of reference in Europe and around the world”.